A historic city bursting at the seams with museums, galleries, cobbled streets and hidden treasures just waiting to be explored. Join us on our new city break to the Catalan classic city of Girona. Introducing the largest city in Catalonia, this former capital lies on the River Onyar and is roughly 62 miles northeast of Barcelona. Rich in culture, the renowned walkable city centre is incredibly diverse with it Jewish Quarter, Romanesque and gothic architecture and medieval walls. Our guided tour will point out the main highlights yet there will still be time to explore the lovely streets, squares and countless monuments. We are based in the resort of Calella just 30 miles from Barcelona for this break and with a day at leisure we may like to take the direct train into the city to soak up the bustling atmosphere. Why not explore further afield and take an excursion to visit the Dali Museum in Figueres whilst taking in some of the landscapes that inspired Salvador Dali. 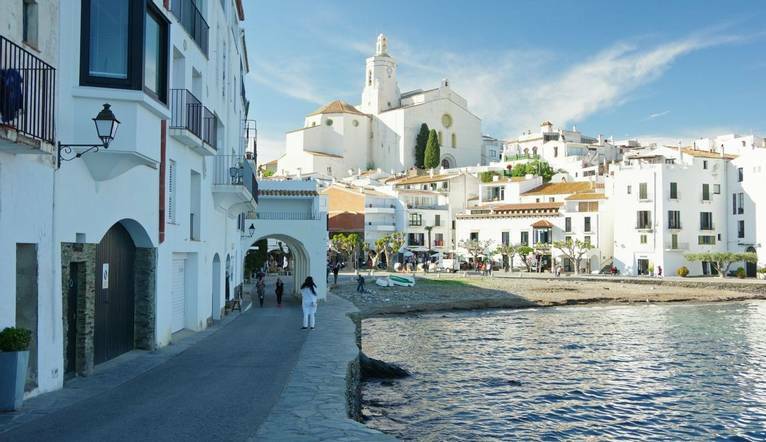 Take in the views of the village of Cadaqués and the Cap de Creus Natural Park. Situated in the town centre and just 75m away from the beach this hotel is a comfortable base from which to explore the surrounding area. Facilities include an outdoor swimming pool and pool bar, buffet restaurant and beach club. Room facilities include flat screen TVs, air conditioning, hair dryers, and telephone. Wi-Fi, safety deposit box and fridges are available for an additional charge. The transfer time from Barcelona Airport to the hotel is approximately 55 minutes depending on traffic.